After our last visit to High Seas Hobbit I knew we would be returning. This time we shared the love and brought along two more families so 12 of us in total. 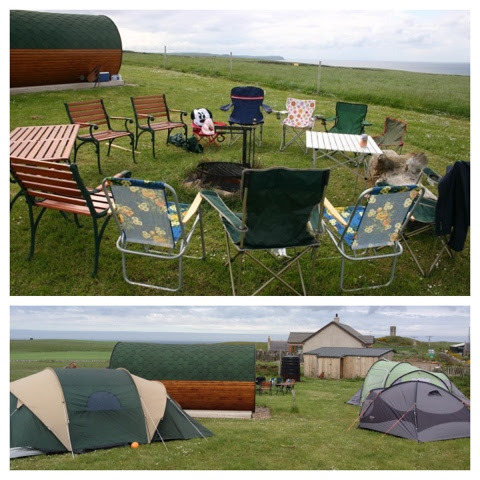 Mums glamping in the Hobbit and Dads and Kids camping in tents. Everyone in their rightful place. 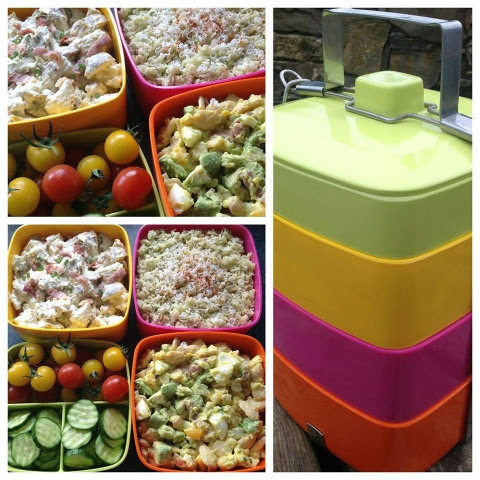 We divided up responsibility for bringing the food and I was in charge of salads so dug out my trusty Tiffin Box. One of my favourite salads to make and eat is Avocado, Egg, Bacon and Butterbean. Combine together with some mayo and a wee bit of garlic and chives. So good. Next up I used some tiny alphabet pasta along with wild garlic pesto, pine nuts and Parmesan Lastly a new recipe for potato salad using baked potatoes. These were mixed with sour cream, grated cheddar cheese and spring onions. Not 100% convinced on this one. Base camp established we headed out to visit the next village down the coast. 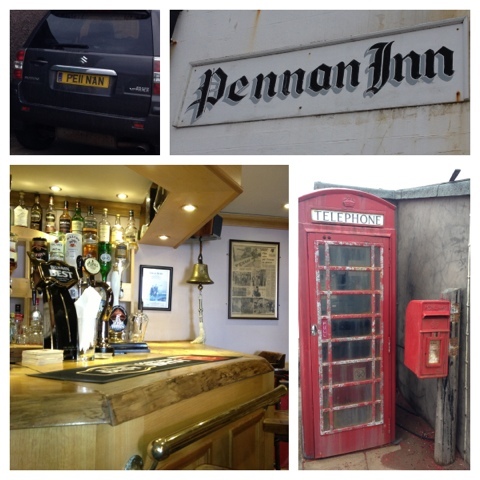 Pennan is the home of one of my all time favourite films Local Hero. The iconic phonebox could certainly do with a lick of paint. Returned to camp and there has been a delivery for us. 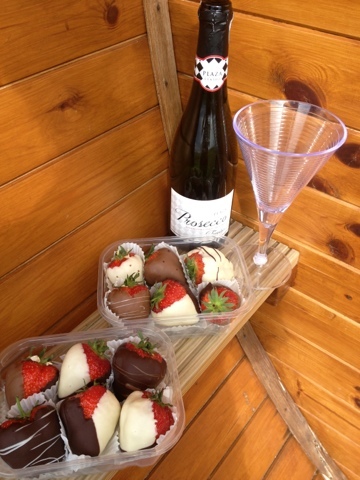 Berry Scrumptious is local to the Hobbit and after missing out on chocolate coated strawberries at Taste of Grampian I had contacted them to organise for a dozen to be delivered to us. The kids eyes popped out of their heads when they saw them. Went down very well with a wee glass of Prosecco. 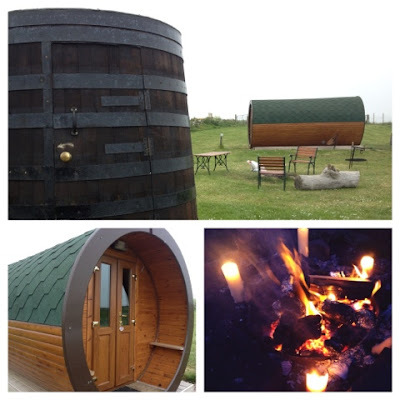 Glamping at its best. Campfire burning and time to get cooking. 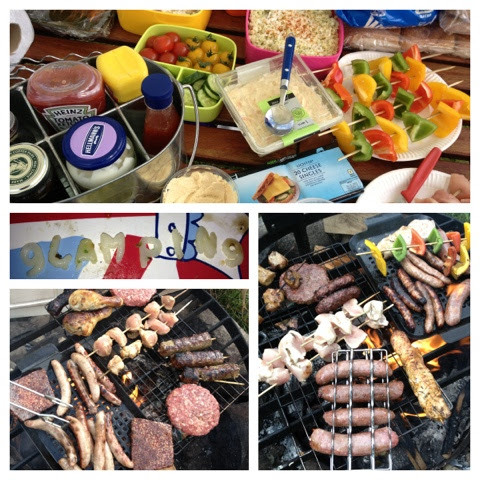 Burgers, Sausages, Kebabs, Chicken. Can you believe we almost forgot to take cheese slices. That would have been a culinary disaster. Great fun spelling out words with the alphabet pasta despite the total lack of G's and improvisation with 9's. 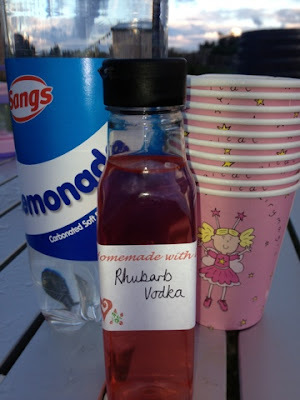 In the run up to our second visit Hobbit hostess Carole had mentioned on Twitter that she'd been making Rhubarb Vodka. True to her word she produced a sample for us to taste. The other ladies were somewhat skeptical but were totally converted with the first sip. Amazingly good. Sweet, sharp and oh so fruity. Rhubarb Rock in a glass. Toasted marshmallows and s'mores before bedtime and heading to our respective tents and hobbit. Campfire was still smoldering in the morning so we stoked it up for breakfast. 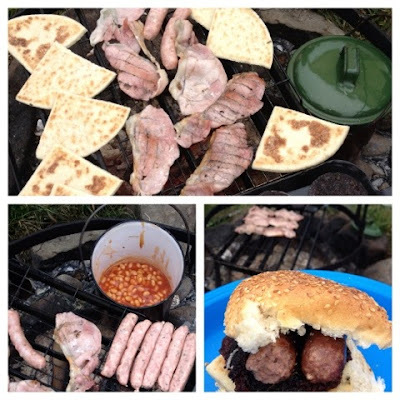 Bacon, Sausages, Square Sausage, Eggs, Black Pudding, Beans and Tattie Scones. Lots of energy required to pack up the tents and have a quick game of rounders. Great time had by all and the good weather on this occasion made such a difference. 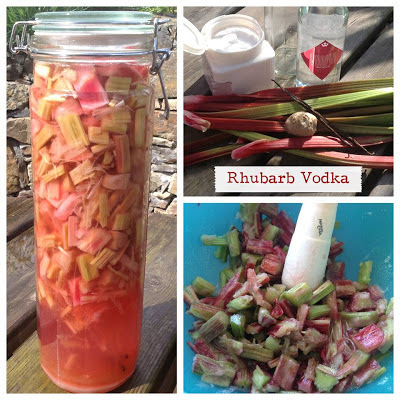 As soon as I got home I was straight on the quest to make my own Rhubarb vodka. I combined the recipe Carole used along with some internet research. Wash and chop rhubarb and crush with a pestle and mortar or similar. Combine with the sugar and vodka in a suitable receptacle Add your desired choice of flavouring. I used a few slices of fresh ginger and half a vanilla pod. At this point you need to be very patient and hide it away somewhere dark for two months before you can sieve bottle and enjoy. The suspense is already killing me. However when I tweeted about what I'd been brewing and how long till it would be ready I got some replies saying that I need only wait until all the colour had come out of the fruit. Think I might have a wee sip in a fortnight when I return from my holidays. Patience is not one of my virtues. Sticky Sticky. Clarks Maple Syrup & Honey. Meal Planning Monday. Demob Happy.